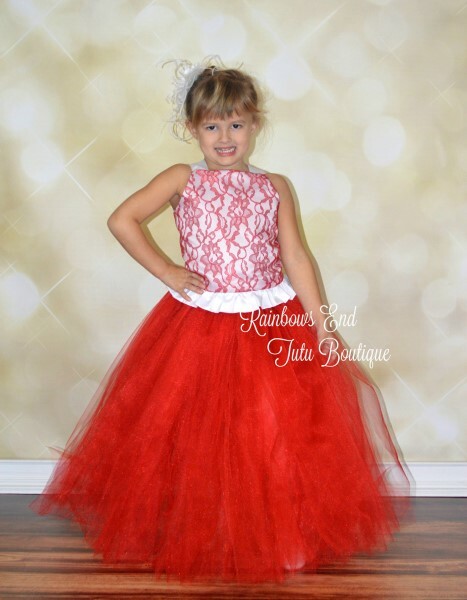 The Sweetheart Couture Dress is a beautiful and elegant tutu gown. The beautiful corset top has a red lace overlay on a white satin bodice. It it reversible to allow two different looks. 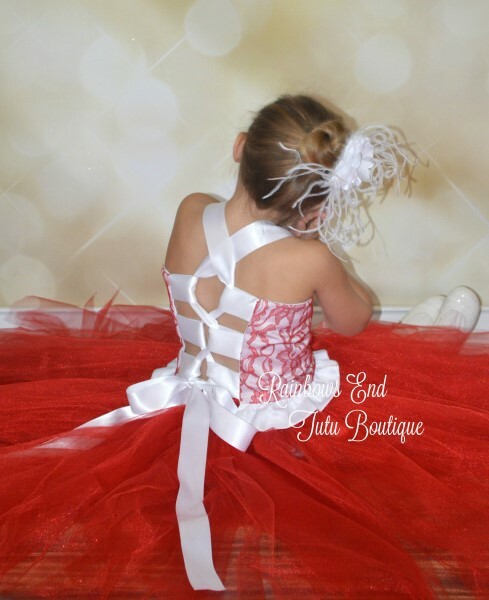 This glamorous gown is made of hundreds of yards of premium red glimmer tulle SEWN , not tied onto an elastic waistband. ***Please note*** The skirt is extremely full and not see through. That said, it is made of strips of tulle, not solid pieces. Tulle can separate and bunch naturally with movement. I do suggest you wear a slip underneath.